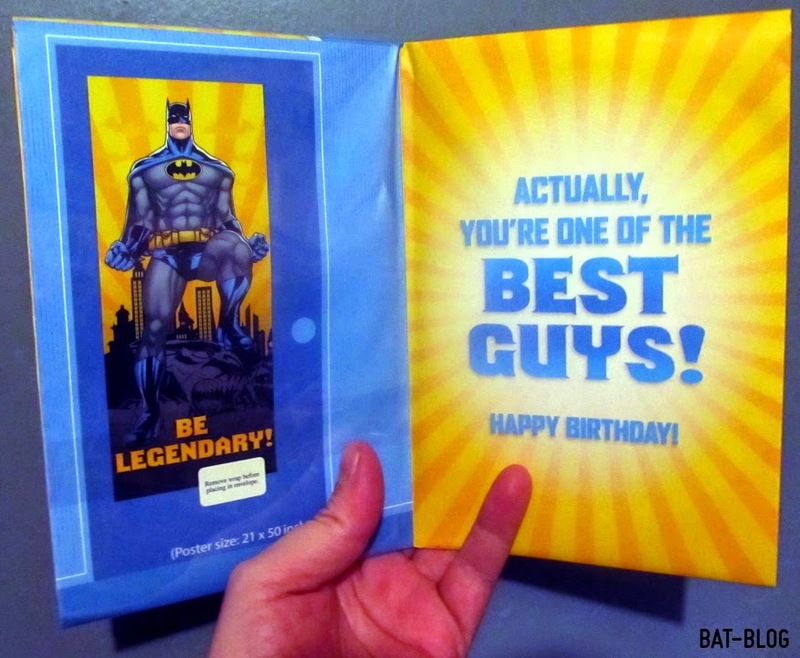 BAT - BLOG : BATMAN TOYS and COLLECTIBLES: Hallmark Cards Has Some Fun New BATMAN STUFF at Walmart! 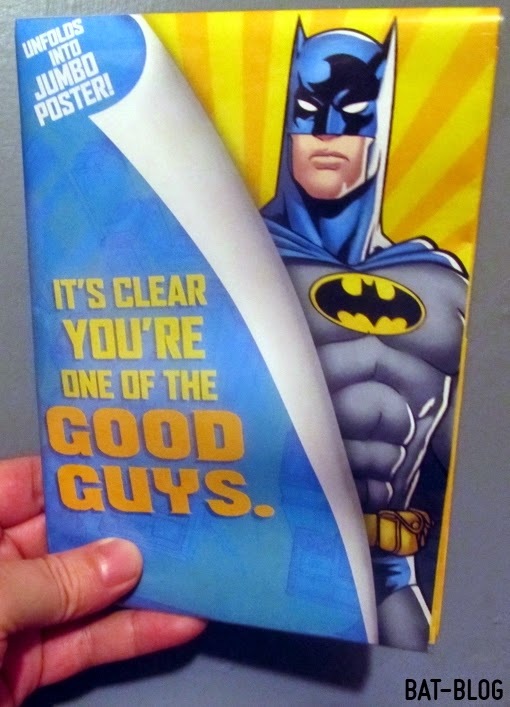 Hallmark Cards Has Some Fun New BATMAN STUFF at Walmart! While shopping for some household supplies at Walmart the other night I decided to check to see if there were any brand-new BATMAN items to be had or report on. In their "Hallmark Cards" area I came across this extremely cool BATMAN JUMBO POSTER Greeting Card! Yes, it's a card that folds-out to reveal a huge poster! It's really BIG and measures about 21" X 50". So, I guess it's "door size" poster?? The image is really great! I have not decided if I am just gonna hang it on the wall like a poster or get it framed. Yes, I really love this image (see it down below). Next-up, here's some quick news. You know those Plastic Tumbler Party Cups they make? Well, there's a new one that mostly features the Batmobile. Only 89 cents so had to grab it. 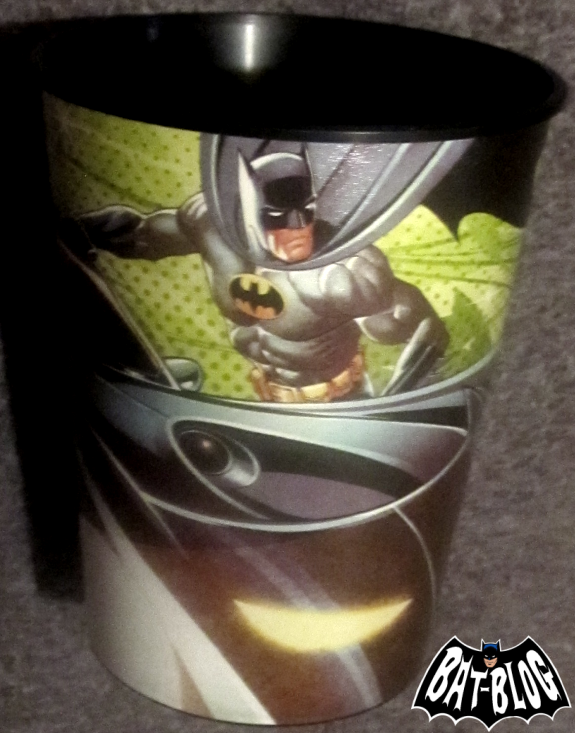 I love these cups!